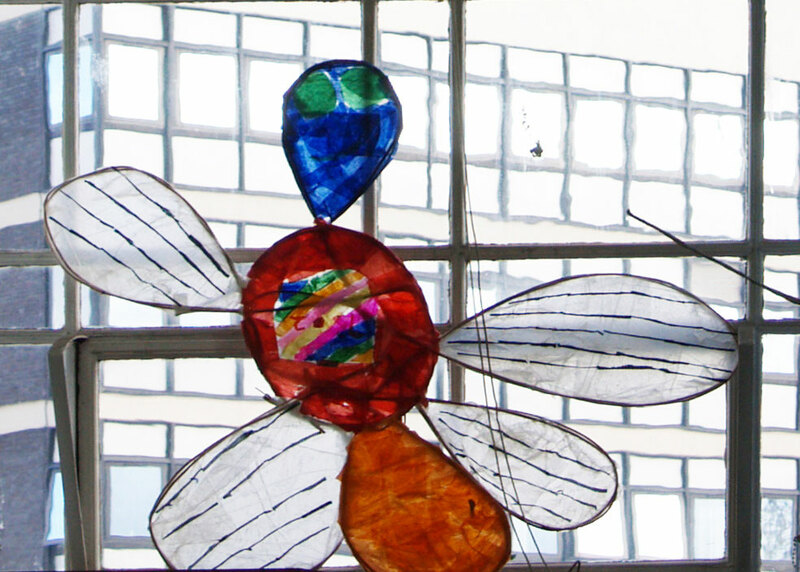 In 2014 Reading Sheffield extended into local Sheffield schools. 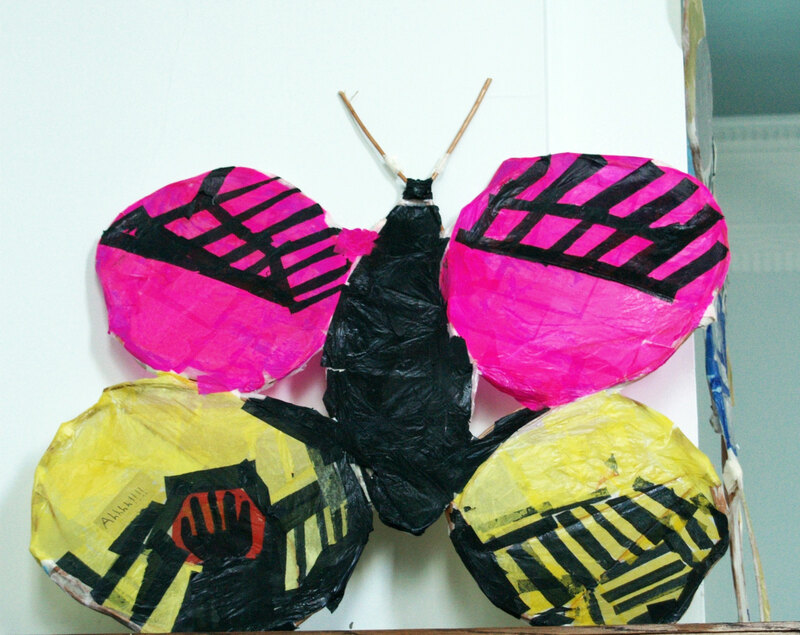 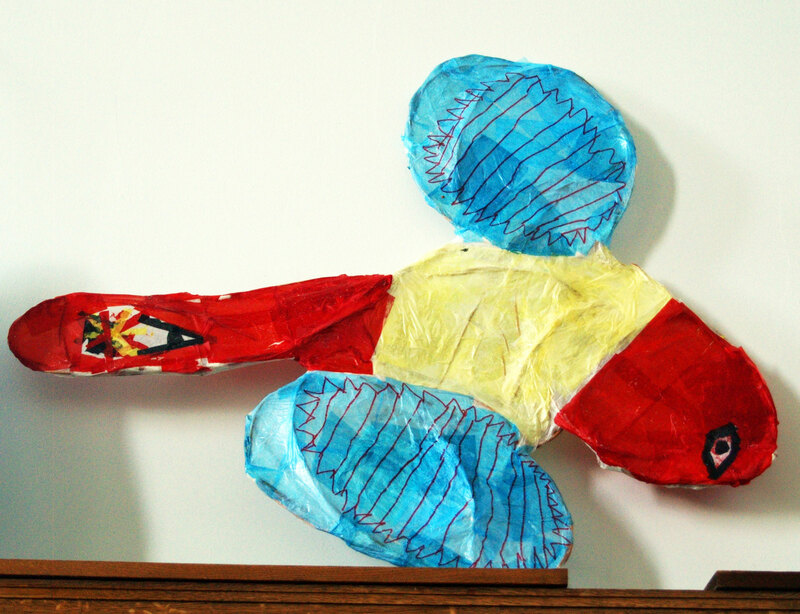 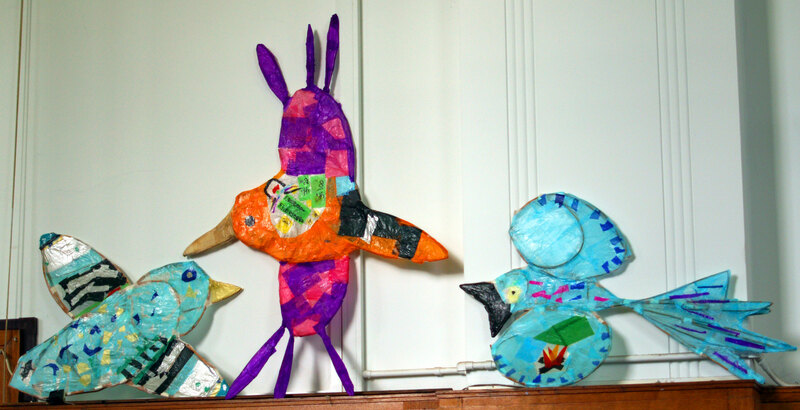 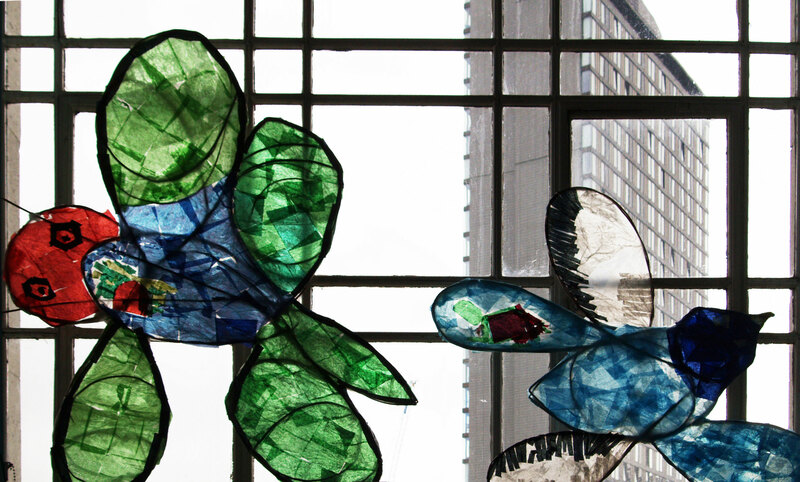 Community artist Jean Compton ran a series of workshops at Netherthorpe primary school where, assisted by Reading Sheffield volunteers, the children constructed flying creatures out of willow, coloured tissue paper and copious amounts of glue. 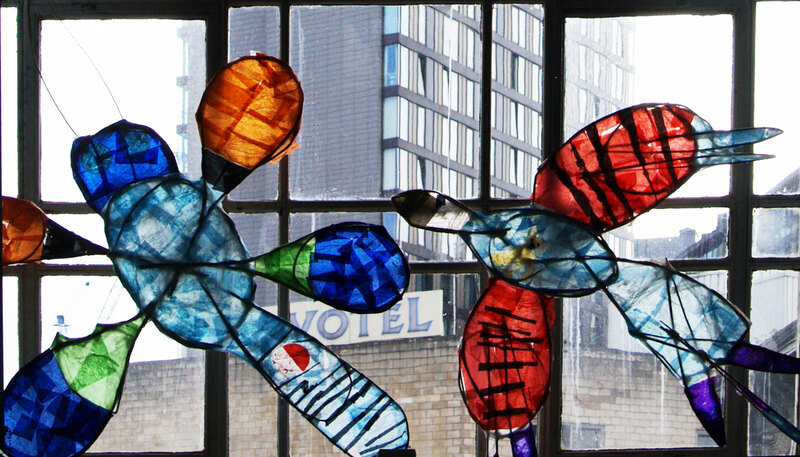 The finished work was exhibited in the Carpenter Room at Sheffield Central Library in an event celebrating Reading Sheffield in 2014.